Because communicating is one of the most basic things we do every day, we may not recognize that what we’re doing is actually a form of public relations, community engagement, and reputation management. Even the most skilled communicators have room for improvement. Warren Buffet once told a class of business school students that they could increase their professional worth 50 percent by improving their public speaking skills. Feeling that his skills weren’t up to snuff after college, Buffett took a Dale Carnegie course. 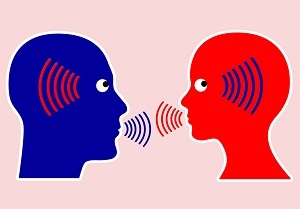 When speaking with customers think about how you’ve handled your best personal conversations. It’s important to be honest, yet tactful, and clear, yet brief. Respect the other person’s time by simplifying the message and don’t pass judgment, as it’s disparaging and shuts down communication. Honesty is also important when it comes to tone, pitch, and body language, which people watch to assess your trustworthiness. Being a good listener is at least as important as being a good speaker, if not more so. Try to listen as objectively as possible to avoid personal biases in your interpretation. It’s not always what you say, but when you say it. Have you ever stood at a store counter for 10 minutes without being addressed? Always speak to a customer when they arrive at your business, even if you’re waiting on someone else, said Carmine Gallo, a communications coach and author of Presentation Secrets of Steve Jobs. Be specific, not general. Explain how the business details relate to them personally. Stories are what resonate with people. If you’ve got to convey a lot of data try using a story to break the ice. Show interest and empathy with the customer’s situation. It will go far to earn their trust and show that you will resolve their issue. Think before you speak. Consider the best way to say what’s most effective, necessary, accurate, timely, and appropriate. Ask open-ended questions which require more thought and encourage a full, meaningful answer. Be especially careful with your choice of words when texting and emailing. If you’re handling a dispute or conflict it’s probably better to speak by telephone or face to face. Regardless of the form of communication, always provide contact information so the customer can get back in touch with you. This entry was posted in Communication, Small Business by Guest. Bookmark the permalink.